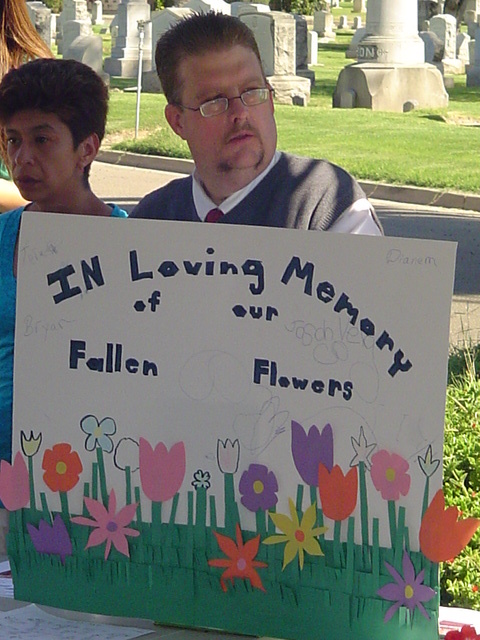 On September 19, 2011, the California Memorial Project held its 9th annual Remembrance Day ceremonies across the state. This occasion provided an opportunity to honor and restore dignity to people with psychiatric and developmental disabilities who lived and died at state institutions and developmental centers. There were 11 ceremonies at 10 different sites, which included: Metropolitan State Hospital, the California State University – Channel Islands (CSUCI, which lies on the former grounds of Camarillo State Hospital), Stockton Rural Cemetery, Porterville Cemetery, Napa State Hospital, Parkview Cemetery in Manteca, Ukiah Rural Cemetery, Agnews Historical Cemetery, Sonoma Developmental Center and Patton State Hospital (which took place on October 10th in conjunction with a dedication ceremony for a monument placed at the cemetery). The ceremonies are held each year on the third Monday in September, which was proclaimed “California Memorial Project Remembrance Day” by the California state assembly in 2010. This event brings together consumers, family members, advocates and supporters to share their experiences and celebrate the lives of people with psychiatric and developmental disabilities. Numerous speakers from the local communities shared their thoughts and personal stories, many of which shed light on the history of mistreatment, neglect, and the stigma and discrimination that people with disabilities continue to face in their day-to-day lives. In addition, many people participated by sharing poems or music or even a guided meditation. Each ceremony honors a moment of silence, which is an occasion to acknowledge and respect the more than 45,000 people who lived and died in state institutions without the dignity they deserved, in life or in death. Many sites also had booths on display with pictures and detailed information about the history of the various state hospitals. 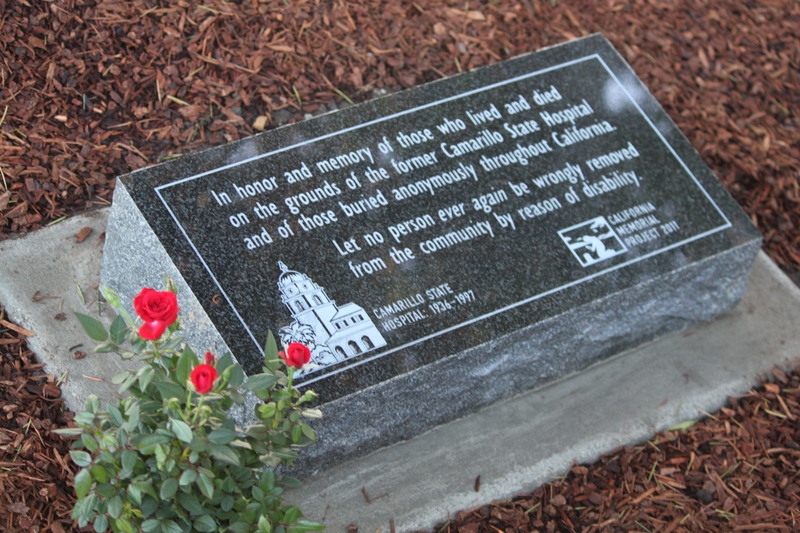 This year, the California Memorial Project also held dedication ceremonies for memorial plaques that were placed on the CSUCI campus and Ivy Lawn Memorial Park in Ventura, and a large granite monument that was completed in collaboration with the Department of Mental Health that now stands at the cemetery of Patton State Hospital. Next year’s ceremonies will be held on September 17, 2012. We hope that you will join us in our celebrations.